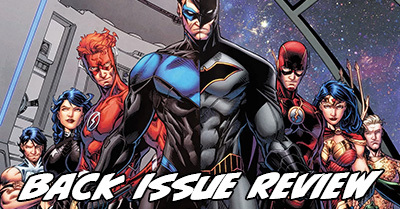 I haven’t been doing much back-issue reading this week, which means this Back Issue Review isn’t as sprawling as its been in past weeks. I did manage to knock out four volumes worth of youthful titles. None of the were major standouts, but they all presented nuanced looks at the meaning of friendship and identity. 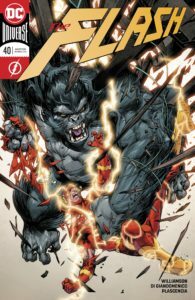 The Pull List: Justice League, Mech Cadet Yu, Batman, Giant Days, X-Men Red, & more! 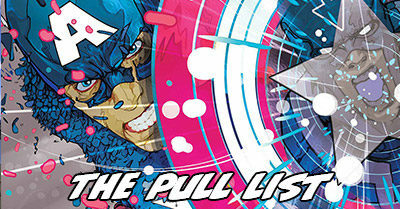 My pull list just keeps getting bigger and better! 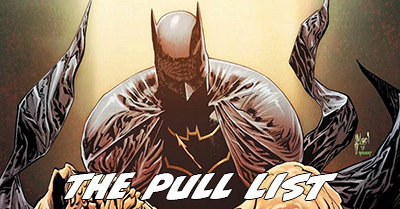 This week, The Pull List is twenty-six issues long with seven new number ones, four issues with Batman, and an average rating of 3.17. What did I pull this week? 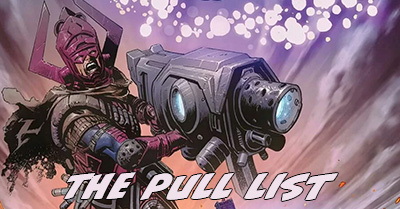 Well, I’m still not caught up on my Superman, but I’ve got a pretty big cross-section of DC and Marvel on my list, plus a handful of smaller publisher titles! 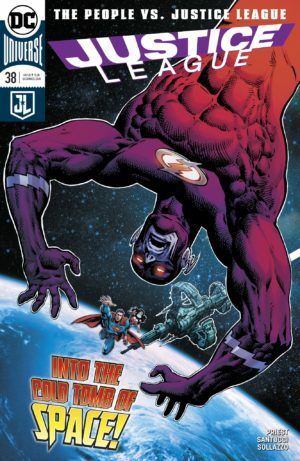 Justice League is finally back to being amongst DC’s most exciting books every month with Christopher Priest at the helm for the first time since Darkseid War in the latter part of New 52 in 2015. Marco Santucci’s pencils on this are brilliant right out of the gate! Flash’s one-man reenactment of Sandra Bullock in Gravity is riveting and an absolutely amazing blend of real science and comics magic. It plays out over a League realizing just how reliant they’ve become on technology, both to back them up and to tell them what to do and where to be. 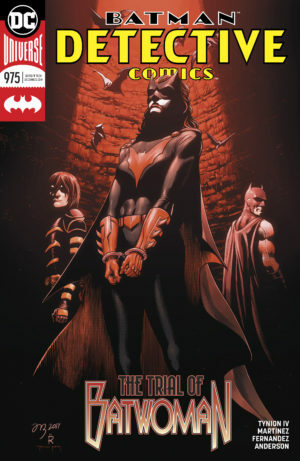 What makes the story unusual is that Batman is the physical representation of that weakness – not Cyborg. As a brilliant tactician who is just a regular man, Batman uses technology to enhance his detective skills and the breadth of his knowledge. Yet, that can easily be used as his own Kryptonite when there’s a situation he cannot strategize his way out of. What happens when Cyborg has to take charge of the League in a way that’s greater than just Boom Tubing them from place to place? Can he fake being a leader with engineering in the same way Flash fakes being an engineer with science? I don’t know, but I am transfixed by this Christopher Priest arc! With the way this book has been going, it’s going to be really hard for anything to excite me more in a week that it’s on the stands. 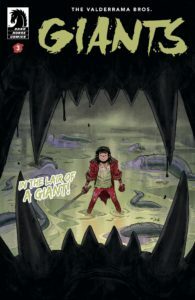 If you haven’t seen my breathless catch-up on this Greg Pak/Takeshi Miyazawa series in this week’s Back Issue Review, here’s the skinny: years ago a giant semi-organic robot crashed to Earth and bonded with a pilot, and ever since then four mechs descend into our atmosphere each year. To find the four pilots that will bond, the US maintains a Hogwarts-esque Mech Academy to train the best and the brightest. We need them, because a race giant Kaiju monsters named Shargs are constantly creeping into our orbit and can only be repelled by the mechs. 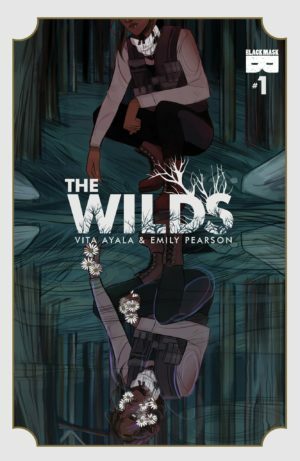 We’re in the middle of the second arc of this book now after it was extended past a mini-series, presumably for just being unbelievably excellent (and also selling a few copies). I cannot tell you the last time I got this nervous about characters in a comic book being in peril. 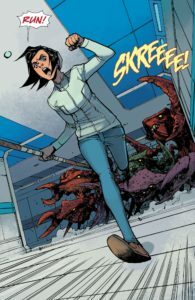 This series continues to perfectly toe the line between Pacific Rim and Harry Potter, and I just want there to be 20x as much of it so I can keep reading more! 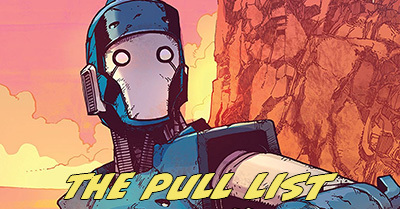 [Read more…] about The Pull List: Justice League, Mech Cadet Yu, Batman, Giant Days, X-Men Red, & more!